When I get a new iPad, I’m always hesitant to bring it outside. After all, my iPad was a $1000 investment and carrying it around without protection makes me nervous. 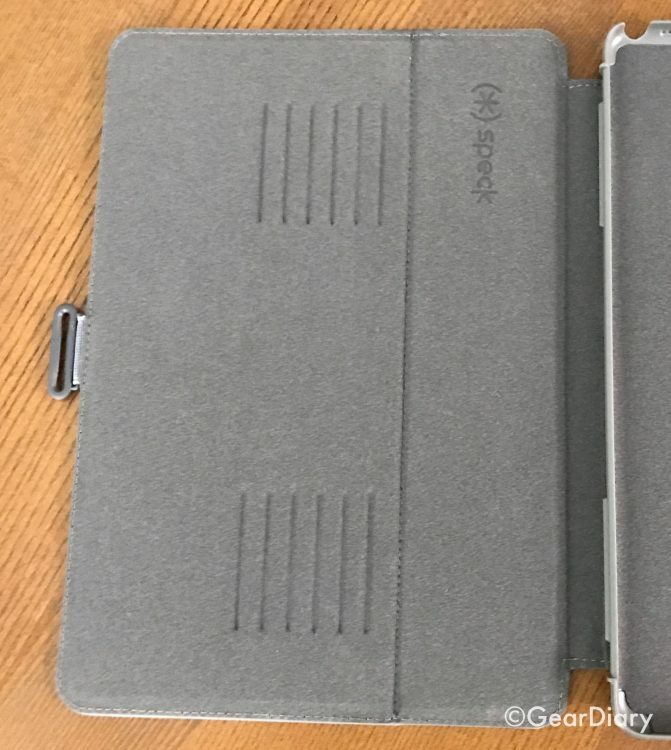 Fortunately, Speck was quick to release their new Speck Balance FOLIO for 10.5” iPad Pro. 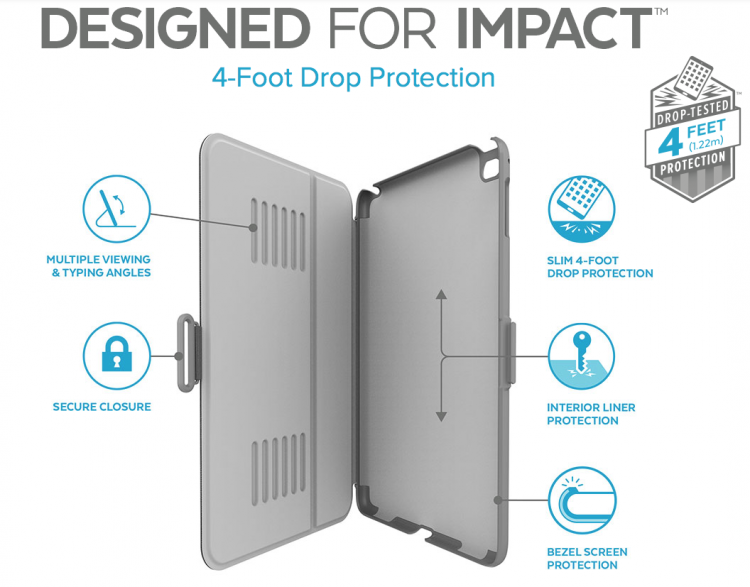 It is a simple case that adds serious protection and much more. 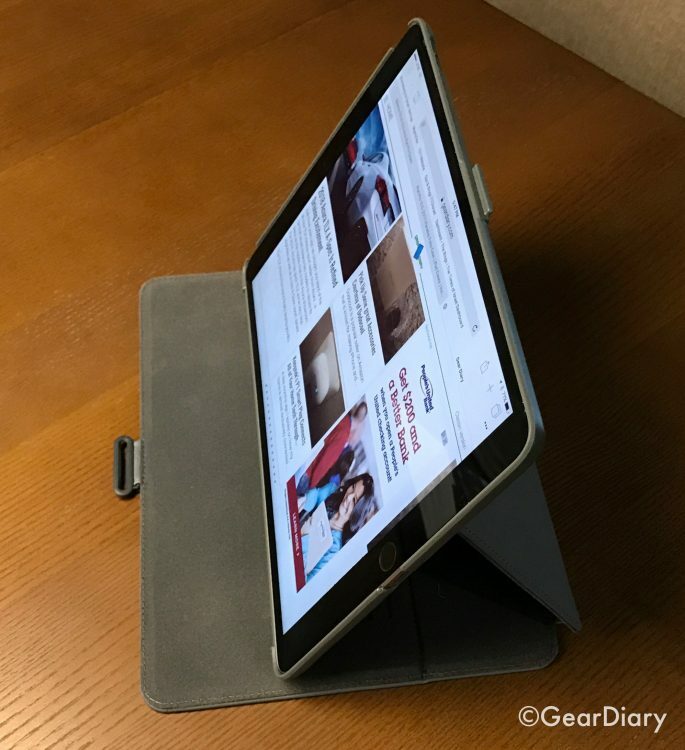 Speck is quick to point out that the Speck Balance FOLIO for 10.5” iPad Pro protects the iPad against drops up to four feet. That means, for example, if it slides off the counter and hits the hard kitchen tile (the way Raina’s iPhone recently did) there is a good chance the iPad will be fine. Raina’s iPhone was not in a Speck case and, as a result, it is now a pricey paperweight. The case is a slim folio-style case. It is, in fact, 20% slimmer than its predecessor. 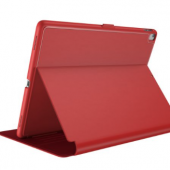 Inside is a soft material that will keep your precious iPad from being scratched. 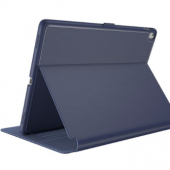 The case itself is made from a hard plastic that holds the iPad securely in place. 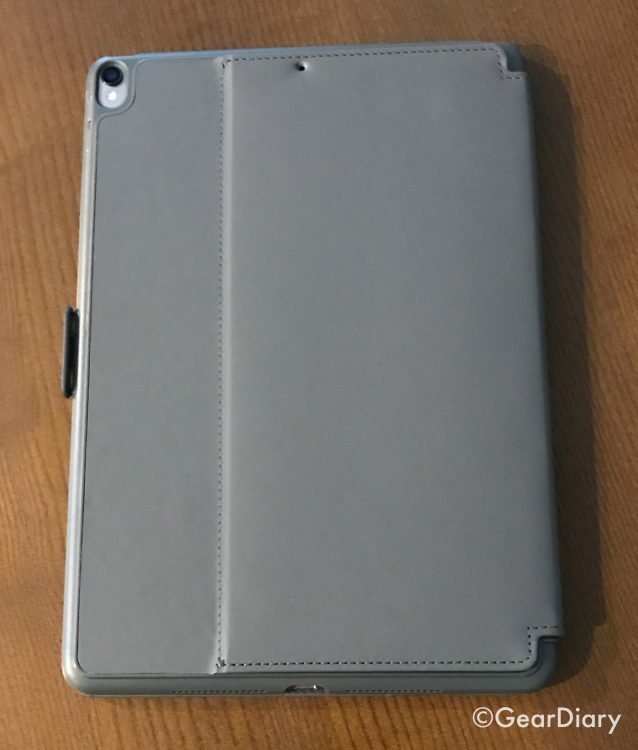 The cover of the case is made from a synthetic leather-look material, No, this isn’t the most refined or classiest looking and feeling case, but for just $39.95 it would not be realistic to expect it to be. It looks, feels and functions like a serious case and that is what matters most. 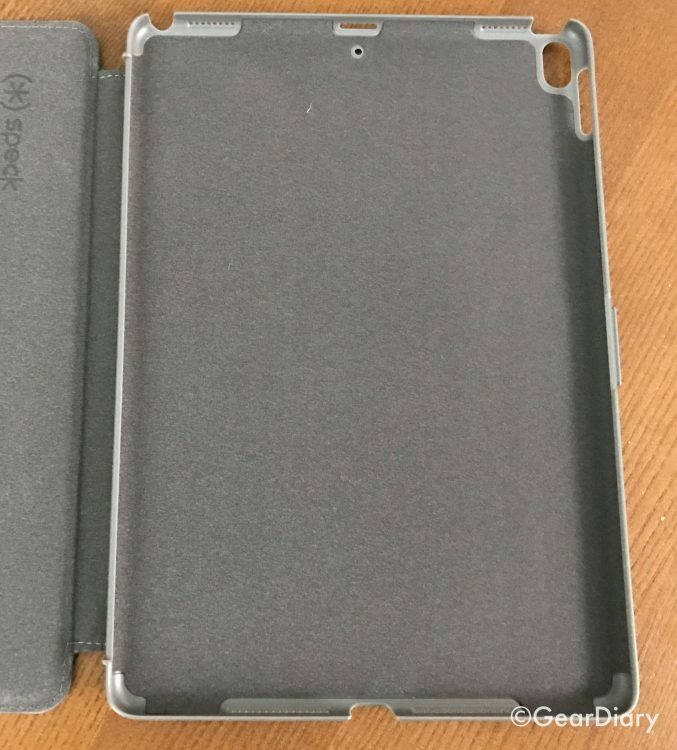 The hard plastic shell that holds the iPad in place has all the proper cutouts. You can easily access the side buttons as well as the Sleep/Awake/Power button. The cutout for the camera is precise, and the cutouts for the speakers and microphone are too. The only real downside of the shell’s design is that if covers the contact pins that make the iPad Pro easy to charge. The interior of the cover is lined with the same soft material as the shell. 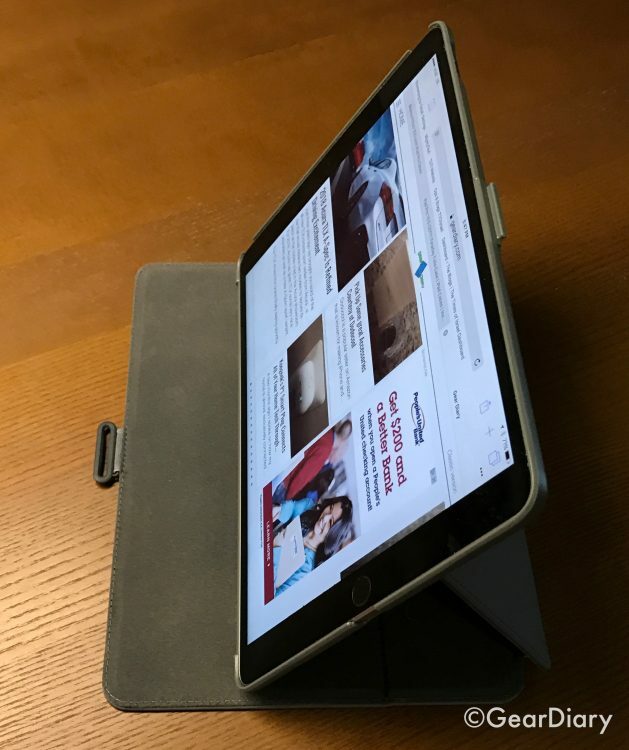 This not only protects your screen when the iPad is not in use but also offers the possibility of doing a bit of cleaning when sliding over the screen. Inside the interior of the cover are a series of ridges that provide a range of angles for hands-free viewing. 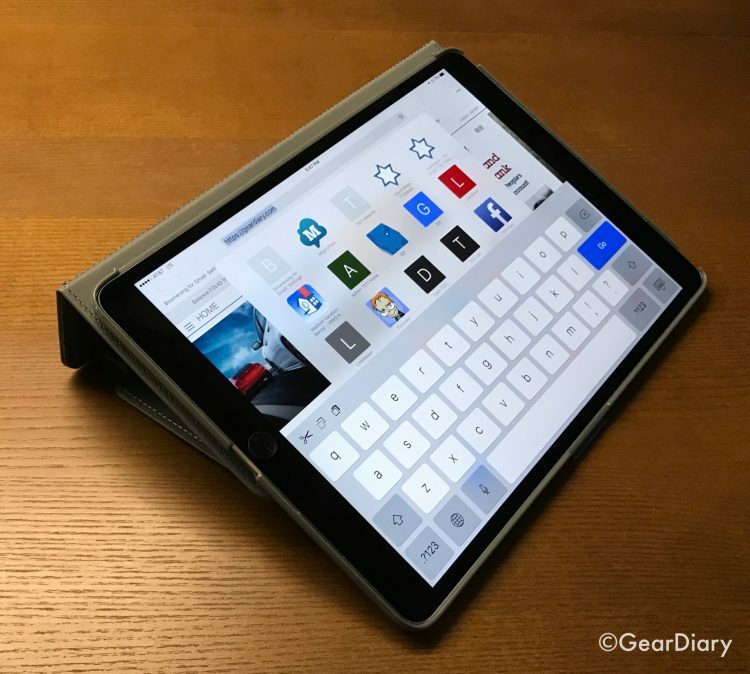 It also works well if, for example, you are using a Bluetooth keyboard with the iPad. 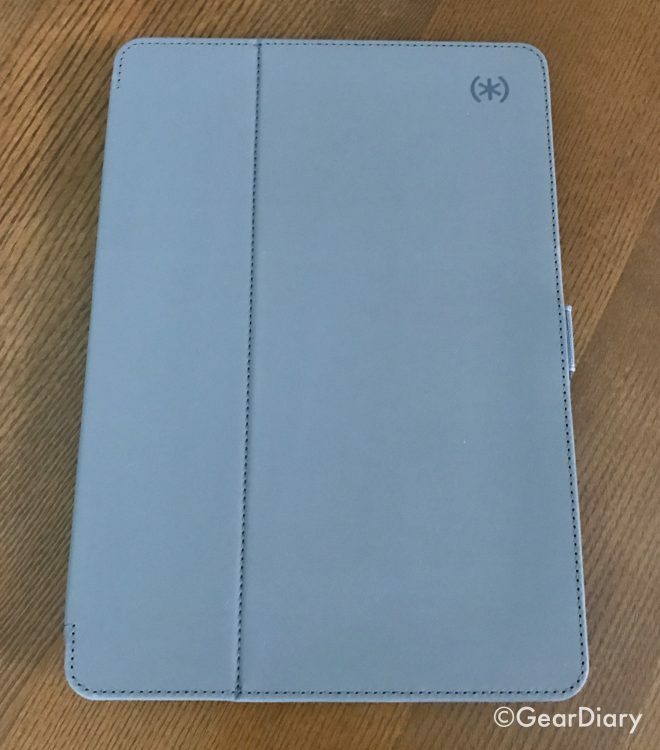 A plastic oval on the side of the cover fits over a slight “bump” on the iPad side of the case and locks the cover in place for times when you are not using the iPad. I love knowing that the cover is securely fixed to the front of the iPad! 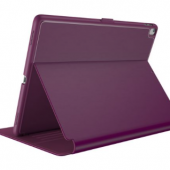 The case can also flip around origami-style and create a nice typing surface with the iPad at a comfortable angle. This is great for times when you want to use the soft keyboard for typing. 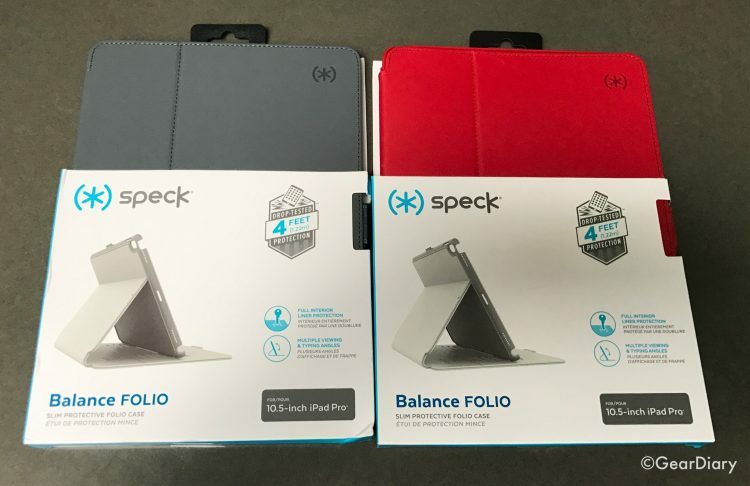 Finally, it is worth noting that the Speck Balance FOLIO for 10.5” iPad Pro comes in your choice of four color combinations. There is Marine Blue/Twilight Blue, Syrah Purple/Magenta Pink, Dark Poppy/Velvet Red and Black/Slate Gray. Recessed cover. Cover fits seamlessly into case for a slim design. Durable PU leather. Easy-to-clean materials add style and color and stand up to daily use. 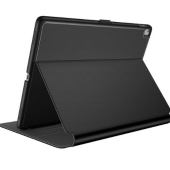 The Speck Balance FOLIO for 10.5” iPad Pro is just $39.95, comes with a 30-day unconditional guarantee and carries a one year warranty. It isn’t fancy but, for under $40 you can get a case that is highly protective AND inexpensive. Check it out here.